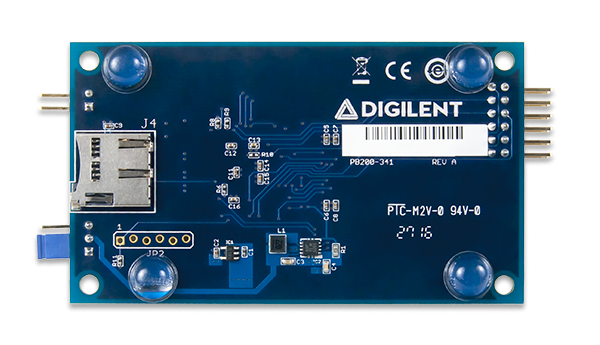 The Digilent Pmod MTDS (Revision A) is a gorgeous 2.8“ touchscreen display with a powerful on-board microcontroller that performs graphics processing tasks. 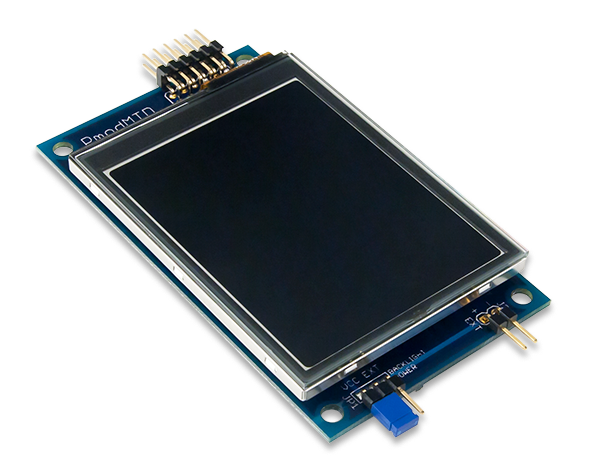 The display is a capacitive touchscreen with QVGA resolution (320×240) and 2 finger multi-touch support. 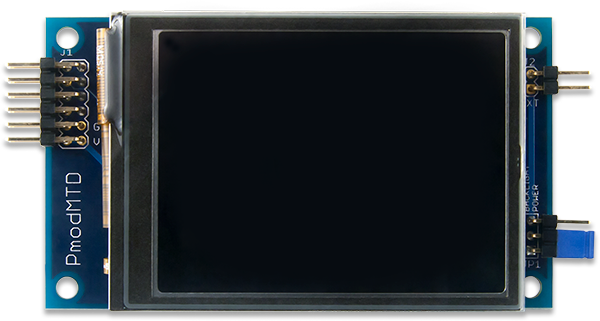 The most compelling aspect of the Pmod MTDS is the programming experience provided by its Multi-Touch Display System (MTDS) Firmware and the associated libraries. These allow you to design sleek, stylish user interfaces very quickly and with very little code. The timing dependent tasks are handled by the firmware, so integrating the display into existing projects is also a snap. Some of the key functionality provided by the libraries include the ability to draw basic shapes and text, draw images stored on microSD with binary transparency, draw buttons and easily check if they have been pressed, and check the status and location of the user's two fingers. The libraries are supported in Arduino IDE and Xilinx SDK, and have been tested with Ardiuno, chipKIT and Arty host boards. 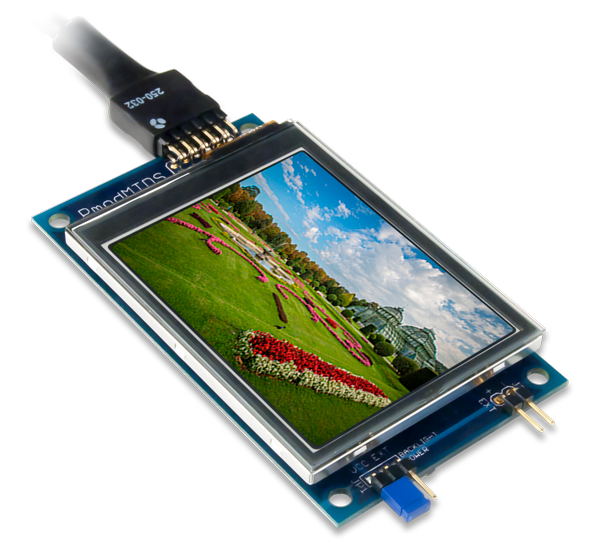 See the documentation for the Multi-Touch Display System software to get started.